Split into 2 main parts with an extra essay on Spiritualism. The first part deals with the witch trials and the second part deals with the Planchette. Yet there are changes, marked and memorable, both in Salem and its neighborhood, since the date of thirty-seven years ago. There was then an exclusiveness about the place as evident to strangers, and as dear to natives, as the rivalship between Philadelphia and Baltimore, while far more interesting and honorable in its character. 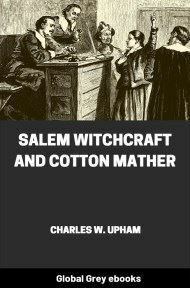 In Salem society there was a singular combination of the precision and scrupulousness of Puritan manners and habits of thought with the pride of a cultivated and traveled community, boasting acquaintance with people of all known faiths, and familiarity with all known ways of living and thinking, while adhering to the customs, and even the prejudices, of their fathers. While relating theological conversations held with liberal Buddhists or lax Mohammedans, your host would whip his horse, to get home at full speed by sunset on a Saturday, that the groom’s Sabbath might not be encroached on for five minutes. The houses were hung with odd Chinese copies of English engravings, and furnished with a variety of pretty and useful articles from China, never seen elsewhere, because none but American traders had then achieved any commerce with that country but in tea, nankeen, and silk. The Salem Museum was the glory of the town, and even of the State. Each speculative merchant who went forth, with or without a cargo (and the trade in ice was then only beginning), in his own ship, with his wife and her babes, was determined to bring home some offering to the Museum, if he should accomplish a membership of that institution by doubling either Cape Horn or the Cape of Good Hope. He picked up an old cargo somewhere and trafficked with it for another; and so he went on—if not rounding the world, seeing no small part of it, and making acquaintance with a dozen eccentric potentates and barbaric chiefs, and sovereigns with widely celebrated names; and, whether the adventurer came home rich or poor, he was sure to have gained much knowledge, and to have become very entertaining in discourse. The houses of the principal merchants were pleasant abodes—each standing alone beside the street, which was an avenue thick-strewn with leaves in autumn and well shaded in summer. Not far away were the woods, where lumbering went on, for the export of timber to Charleston and New Orleans, and for the furniture manufacture, which was the main industry of the less fertile districts of Massachusetts in those days. Here and there was a little lake—a “pond”—under the shadow of the woods, yielding water-lilies in summer, and ice for exportation in winter—as soon as that happy idea had occurred to some fortunate speculator. On some knoll there was sure to be a school-house. Amid these and many other pleasant objects, and in the very center of the stranger’s observations, there was one spectacle that had no beauty in it—just as in the happy course of the life of the Salem community there is one fearful period. That dreary object is the Witches’ Hill at Salem; and that fearful chapter of history is the tragedy of the Witch Delusion. 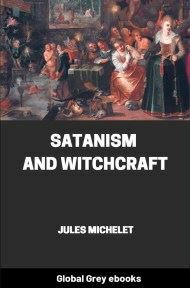 Our reason for selecting the date of thirty-seven years ago for our glance at the Salem of the last generation is, that at that time a clergyman resident there fixed the attention of the inhabitants on the history of their forefathers by delivering lectures on Witchcraft. This gentleman was then a young man, of cultivated mind and intellectual tastes, a popular preacher, and esteemed and beloved in private life. In delivering those lectures he had no more idea than his audience that he was entering upon the great work and grand intellectual interest of his life. When he concluded the course, he was unconscious of having offered more than the entertainment of a day; yet the engrossing occupation of seven-and-thirty years for himself, and no little employment and interest for others, have grown out of that early effort. He was requested to print the lectures, and did so. 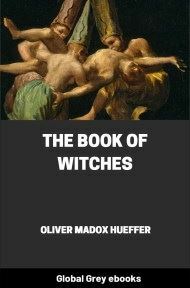 They went through more than one edition; and every time he reverted to the subject, with some fresh knowledge gathered from new sources, he perceived more distinctly how inadequate, and even mistaken, had been his early conceptions of the character of the transactions which constituted the Witch Tragedy. At length he refused to reissue the volume. “I was unwilling,” he says in the preface of the book before us, “to issue again what I had discovered to be an insufficient presentation of the subject.” Meantime, he was penetrating into mines of materials for history, furnished by the peculiar forms of administration instituted by the early rulers of the province. It was an ordinance of the General Court of Massachusetts, for instance, that testimony should in all cases be taken in the shape of depositions, to be preserved “in perpetual remembrance.” In all trials, the evidence of witnesses was taken in writing beforehand, the witnesses being present (except in certain cases) to meet any examination in regard to their recorded testimony. These depositions were carefully preserved, in complete order: and thus we may now know as much about the landed property, the wills, the contracts, the assaults and defamation, the thievery and cheating, and even the personal morals and social demeanor of the citizens of Salem of two centuries and a half ago as we could have done if they had had law-reporters in their courts, and had filed those reports, and preserved the police departments of newspapers like those of the present day. 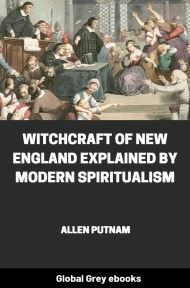 The documents relating to the witchcraft proceedings have been for the most part laid up among the State archives; but a considerable number of them have been dispersed—no doubt from their connection with family history, and under impulses of shame and remorse. Of these, some are safely lodged in literary institutions, and others are in private hands, though too many have been lost.